ATX Celebration of International Women's Day Rattletree School of Marimba, 2401 Thornton Rd. BookPeople, 603 N. Lamar, BookWoman, 5501 N Lamar in Austin; The Twig Book Shop, 306 Pearl Prkwy in San Antonio; Casa Ramirez FOLKART & Gallery, 241 W. 19th St. in Houston; Sententia Vera Hub Culture & Book Store, 4002 E. Hwy 290 in Dripping Springs and Paragraph's Book Store on South Padre Island . "I'm dragging a little this morning because I stayed up way too late finishing "It's News to Me!" I so much enjoyed your book from first page to last! So many well-developed and interesting characters, and enough twists and turns to keep one guessing. It was also so much fun trying to guess whether some of the incidences in the book were somewhat autobiographical or strictly from your very creative mind!" "This proved a terrific bit of escapism for me! It's the first novel by a former news reporter/anchor from the Austin, TX area, and I can imagine it revealing -- from real life -- some of the cutthroat competitiveness and politics that exist in the field of TV journalism, but which will rarely come across on-camera. The heroine Marissa is a news anchor whose stroke of luck on live TV leads not just to her officially investigative piece on business fraud, but also her unofficially sleuthing a criminal element surfacing from the past." Life in television news is not as glamorous, exciting or entertaining as viewers might think. At least it’s not for anchor-reporter Marissa Cavelo who is tired of being typecast as a feature reporter. There are only so many ribbon-cutting ceremonies a reporter can handle without going insane! Marissa is determined to break a big exclusive story to prove she’s a serious broadcast journalist. She also hopes to grab the attention of a national talent scout who’s searching for the next network news anchor. While out on yet another “fluff’ story, Marissa stumbles upon breaking news and the “live” coverage unexpectedly propels her career forward, but it also angers a violent criminal who has a longstanding vendetta against Marissa’s family. Her bumbling bosses and competitive colleagues don’t want her to succeed for their own selfish reasons, so in an attempt to stop her quick rise to fame, the executive producer hands Marisa an impossible assignment - one she is guaranteed to fail. Marissa tackles the tough assignment while maneuvering the crazy, often hilarious world of local television news at KATX-TV in Austin, Texas. As she digs up dirt on a bogus money-making operation, Marissa finds herself sexually drawn to her handsome partner/photographer. At the same time, she is pulled further away from her twin sister who hates being in the expanding shadow of her celebrity sibling. It turns out Marissa’s twin sister is living a secret life that puts both women in danger leaving Marissa forced to use her investigative reporting skills to either save her sister or expose her enemies with cameras rolling. Either way, Marissa risks her shot at becoming a network anchor. 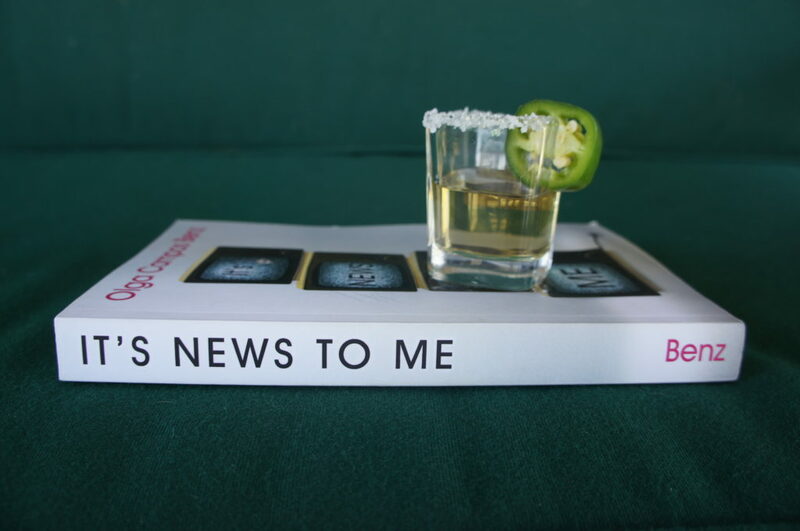 Fortunately for the fans of this savvy Latina, her sarcastic humor and the perfect margarita are always free flowing in “It’s News to Me”! Order e-book or hard copy now from Amazon and post a positive review! For a personalized, signed copy of the book, check Olga's calendar for public appearances and book signings near you! 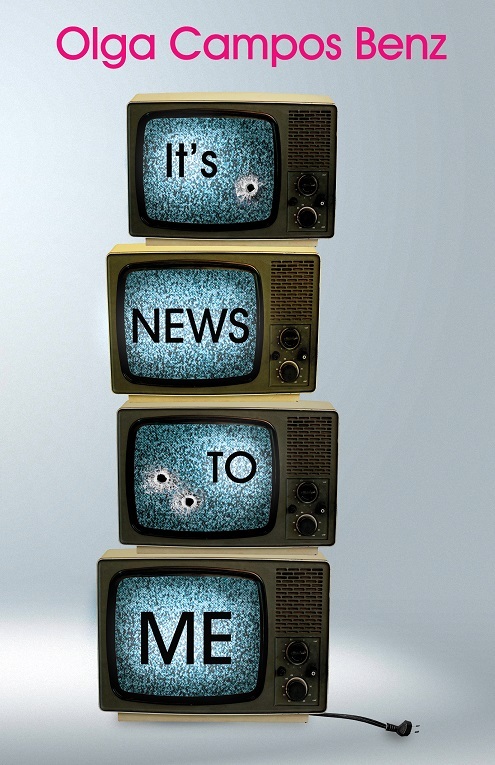 Order "It's News to Me" Now!